Transient Cactus Publications was formed on 1st December 2012 and is the micro press of speculative fiction writer Michelle Ann King. 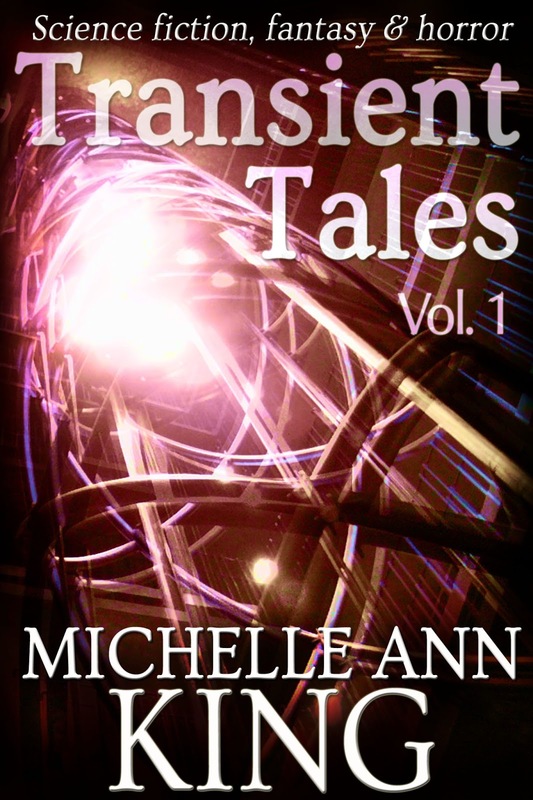 The Transient Tales Series: 20,000-word collections of science fiction, fantasy and horror. Transient Tales Omnibus 1 collects the first four volumes in the series: forty-six funny, sad, and thrilling stories of science fiction, fantasy and horror — featuring dysfunctional (and sometimes demonic) families, a time-travelling reality TV show, a Halloween game with a chilling price, robot wolves, carnivorous plants, a call-centre at the end of the world, witches, doppelgangers, misanthropic psychics, immortal gang bosses, apocalyptic survivors, alien voyeurs, flesh-eating criminals, a cunningly-disguised space leport device, zombies (some helpful, some not so much), and much, much more! The second in the Transient Tales series collects 12 short stories of science fiction, fantasy and horror, totalling 20,000 words and ranging from light to dark and all shades in-between. Volume 2 features a Halloween game with a chilling price, a call-centre at the end of the world, an unconventional quest for a portal to fairyland, a mother dealing with the loss—and the return—of a child, a desperate woman’s letter to her future self, a repentant scientist’s lament, an envious boy who gets more than he bargained for, and a misguided attempt to gain closure on a very dead love affair. One Free Go: Darren and Kate threw a huge kids’ party on Halloween, but now they’re not quite sure why. Not With a Bang: Answer the calls, read the script, enter the data. And when certain words or phrases come up, type out the alarm codes. No Regard for Narrative Convention: Some people thought it was a great opportunity, when the dimensional portals opened up. Others, like Michael, weren’t quite so sure. Sale or Return: In the future, money can buy you anything. Or can it? Nor Any Drop to Drink: Lynsey might look like a little girl, but she’s got a big thirst. You Wish: You’ve always got to be very careful about what you—or other people—wish for. Dear Ingrid: Is it still a bad deal if the one who makes it isn’t the one who pays for it? Babysitting: Looking after Jilly—who really, really, really wants a puppy—is an exercise in tolerance. Who’s going to crack first? On Blackened Wings: Dionne doesn’t believe that Rachel’s built a psychic hotline to the monsters out of wires and roadkill. But that doesn’t mean she wants to try it. No Apples for Mother: Artificial Intelligence and Old Testament religion. Not a good mix. Gifted: What makes the new girl so special? What’s she got that Francie and Everett haven’t? They’re about to find out. Closure: Carmel’s relationship didn’t end well. She’d like another go. Volume 1 features dysfunctional families—some demons, some that don’t have that excuse—monstrous assassins, pragmatic cannibals, time-travelling reality TV shows, zombies, witches, phobias made real, law-breaking love and lessons in post-apocalyptic survival. The Fine Art of Fortune-Telling: Jane’s going to meet the love of her life. Again. And again. And again. Precious Things: If you find something in the woods... maybe it’s best to leave it there. Meredith Said: Zach’s preparing for his first trip through his father’s teleportation gateway. He’s supposed to be going home, but maybe that depends on the definition of the word. Toil and Trouble: A witchy grandmother, a book of spells, a recipe for a love potion. It’s the perfect way to find a date, right? The God of Blood and Bone: They always look at the husband first. So when Vince wants his wife dead, he’s very discerning about the choice of assassin. What We Leave Behind: There are some things you need to survive after the breakdown of civilisation. And some you don’t. The Author of Your Own Misfortune: Always read the small print of your insurance policy. Especially the one covering trips back in time. Behind Glass: Tom’s sick. He’s feverish, aching and having blackouts. And he’s hungry. So very hungry. Nameless, Unreasoning, Unjustified: Humans reach the stars, and find they’re not alone. Neither are they welcome. A Cat May Look at a Queen: If you make the rules, you have to live by them. What Doesn’t Kill You: Everyone knows you can’t live in the rotting devastation of the Blight. But Olivia's going to try. SHALLOW CUTS is a collection of crime flash fiction: 20 bite-sized stories of murder and mayhem. Featuring a would-be comedienne who'll do anything to get a laugh, a fatal case of sibling rivalry, a newly-promoted gang boss who finds that life at the top isn't quite what he imagined, a young boy trying hard to live up to his father's expectations, and many more. ON BLACKENED WINGS: A 4,200 word dark fantasy from Transient Tales Volume 2, now available as a stand-alone e-short. Bats. The word was inadequate by a dozen orders of magnitude, but there wasn’t a better one. Whatever they were—aliens, demons, creatures from some unknown hell—they weren’t bats. But maybe it was the closest approximation the mind could stand. 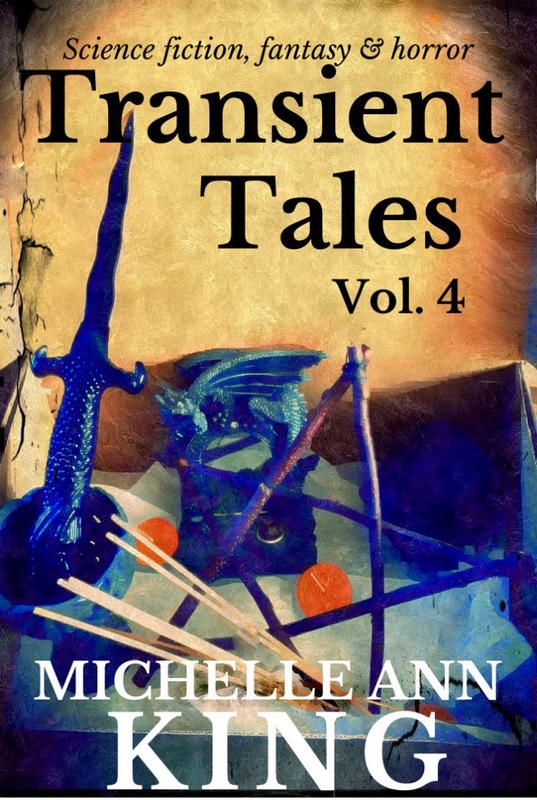 WHAT DOESN'T KILL YOU: A 4,500 word dark fantasy from Transient Tales Volume 1, now available as a standalone e-short. They evacuated people, in the the early days of the Blight. They sealed off the affected areas and posted guards. They provided protection, issued reassurances. They put their top scientists to work on finding a solution. They don't do any of that any more. But even if everyone else is giving up, Olivia's determined to find a way to survive. To adapt. I belong to an informal association for editors and we have bookgroup (of course). It's indie author and micropress month, and I've put your omnibus up as a suggestion.